Hey! 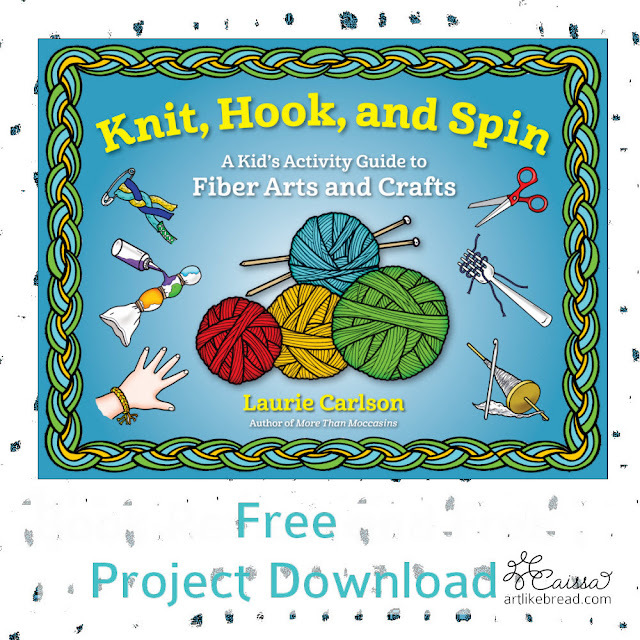 Remember how I raved about the new book Knit, Hook and Spin by Laurie Carlson? 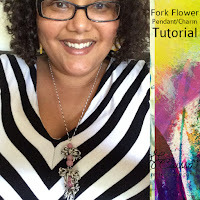 Well, I'm back today to share a free pdf download from the book (courtesy of Chicago Press), and to also give you an idea of how to use the delightful floofs that you make! First things first. 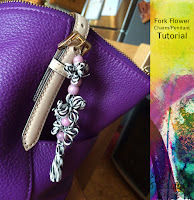 The project is a Fork Flower, which is an easy and fun weaving project. Although the book was written for children, it is loaded with great ideas that we all can try. This project is no exception. Click on the picture below to download your free sample project from Knit, Hook and Spin by Laurie Carlson. First, thread your jump ring through a length of your yarn that is about 18 to 36 inches long. Then, holding both ends of the yarn together, thread a bead over the yarn. Position the yarn and bead so that it is threaded through the middle space between the tines on the fork, as shown below. Holding the beginning yarn in place begin to weave a different length of yarn over and under the tines of the fork as shown. For a more detailed explanation, please download the free pdf from Knit, Hook, and Spin. Hold the ends of the beaded yarn together and thread two more beads onto your yarn. Secure the new beads by tying a square knot. 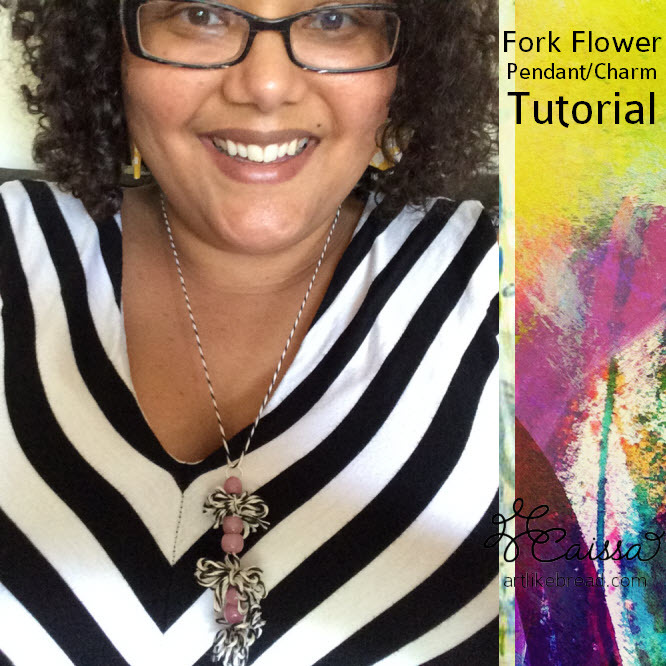 Repeat the process until you have a pendant or keychain the length you like. Wear your fork flowers on a necklace. 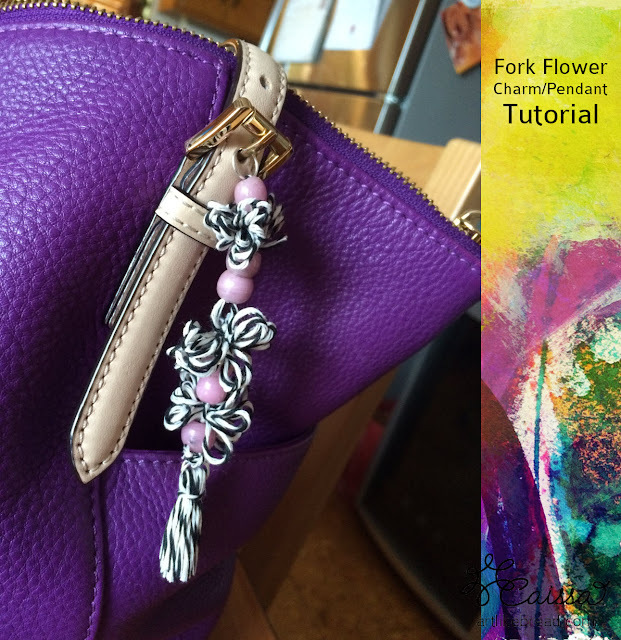 Use your fork flowers as a purse charm or keychain! If you would be interested in learning how to make a cowl like this or buying one from me, please let me know by contacting me at artlikebread (at) gmail (dot) com. As always, thanks for reading the blog! 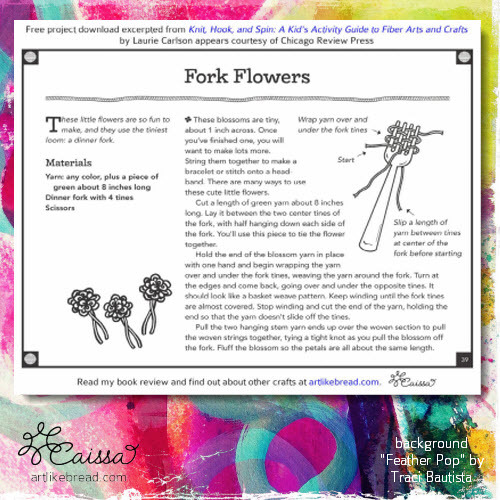 If you liked this post, please share this post with a friend through social media & make matching fork flowers for lots of fun! Like my Facebook page for updates and more crafty sharing!